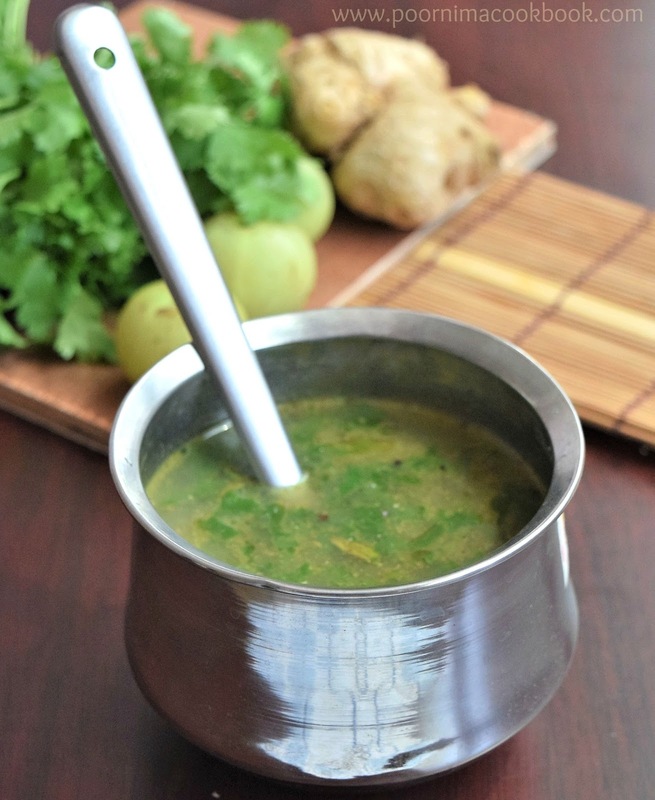 This Vitamin C rich Rasam is easy to prepare and a healthy variation to the usual rasam. 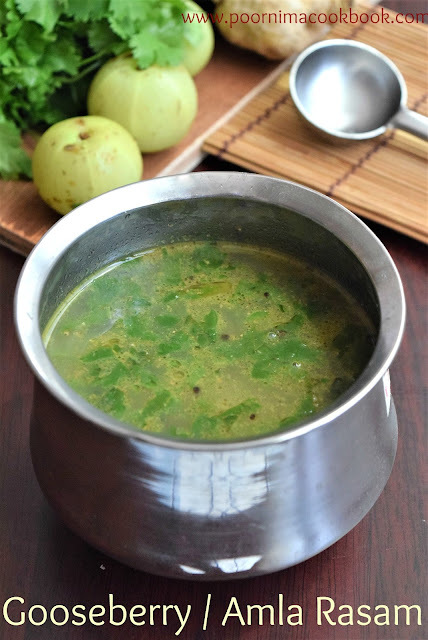 In this rasam recipe, there is no tomato and tamarind, the sour taste is only from gooseberries. Though we know the health properties of gooseberry, it is difficult to make my kids eat. So I always try to find a way to sneak amla / gooseberry into their diet and this is one of it. Try and give your feedback. Take a blender or mixer; add in de - seeded amla, chopped ginger, cumin seeds and pepper. Grind it into a fine paste by adding water. Take a bowl, add in the gooseberry paste and cooked dhal along with 1 to 1½ cups water to dilute the mixture. Add salt and keep aside. Heat oil in a kadai; season it with mustard seeds and green chilies. Once it crackles; add the prepared gooseberry mixture. Next add in turmeric powder,curry leaves and chopped coriander leaves. Allow to cook in medium flame. You can strain the rasam completely and have it as a soup. 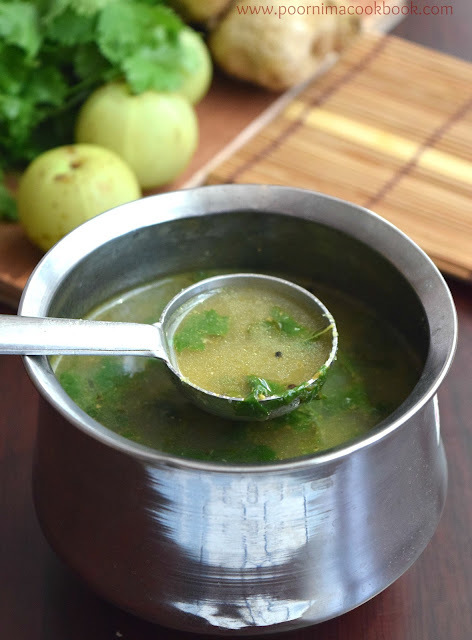 You can also add lemon juice to the rasam at last for extra taste. Don't add lemon juice while rasam is too hot, it will give a bitter taste.